Good service, the car was just what I wanted. Clean economical and nippy. Ali at ChristChurch on the desk sorted out a problem I had ,with a smile. Thank you. Hassle free and transparent... Walk in pick up the car. . Walk back in drop the keys. Simple. Pick up was a bit slow due to so many customers but staff were very helpful. Drop-off was fast and delivery to airport was excellent. Vehicle was perfect for our needs. Hitch has low prices, speedy online bookings and a friendly Kiwi service. 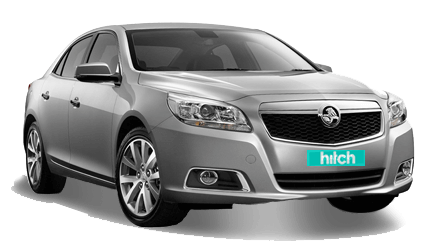 Hitch car rentals provides choice: with new models as well as Super Saver options. Whether you need an SUV or a hatchback. We also offer a free Airport pickup shuttle, free additional drivers and no hidden charges. When you book with Hitch, just let us know your arrival time and flight number, and we’ll aim to meet you outside the terminal where the taxis are – in our big Hitch van & trailer. Alternatively, call #38 from the freephone located in the i-Site center and one of the team will dispatch a shuttle to collect you. 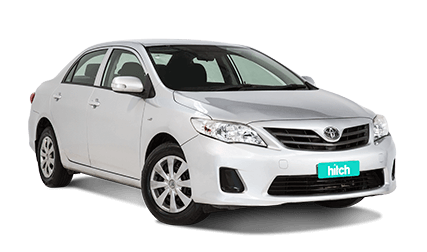 Hitch Car Rentals are New Zealand’s fastest growing car rental company and now have 3 branch locations and a fleet of over 1000 vehicles. Our locations are Auckland Airport, Christchurch Airport and Queenstown airport. We offer free airport pickup shuttles from every location. Welcome to Auckland – Nau mai ki Tāmaki Makaurau. Just touched down in the City of Sails? It’s easy to be impressed by Auckland as you fly in over the beautiful Waitematā and Manukau Harbours for the first time. When you’ve landed, expect more of that exact same feeling when you’ve booked your Auckland Airport car rental with Hitch – we aim to impress and offer a straight forward and friendly service. 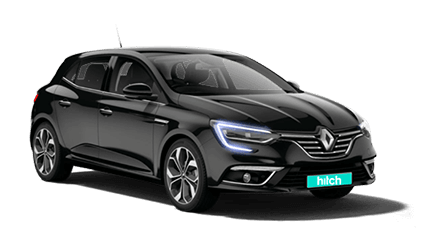 Whether you’ll be using a rental car to explore Auckland’s trendy café-laden suburbs or wild West Coast beaches, Hitch Car Rentals is the best option for car rental Auckland has to offer. We pride ourselves on always providing great service, and making sure you have the best Auckland experience imaginable, at the lowest prices! With a choice of cars for every budget, friendly staff, and a free shuttle to make your Auckland Airport experience as easy as possible, here at Hitch we’re dedicated to ensuring that your New Zealand journey is fantastic, from the moment you touch down to the moment you return your car. For an experience you won’t forget that gives you the freedom you need on your vacation, Auckland is best explored by car. With the Auckland region holding so many wonders spread from coast to coast such as Piha Beach on the West Coast, the Hunua Ranges in the south, and the Sky Tower in Auckland Central, renting a car is the best way to get from place to place and make sure you can spend your time in Auckland however you want. As Auckland is just the first stop on many people’s New Zealand journey, renting a car is also the gateway to visiting attractions such as the Waitomo Glowworm Caves, Cathedral Cove and Hot Water Beach in the Coromandel, and the North Island’s many other beautiful landscapes and engaging attractions – including world-famous Hobbiton! 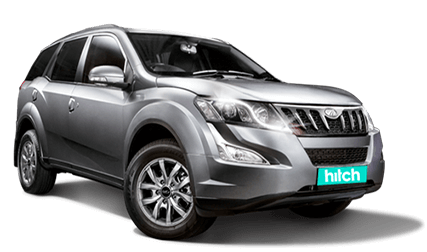 With Hitch Car Rentals, remember you can return your rental car at any of our other locations across the country, meaning that Auckland Airport could just be the beginning of your amazing journey throughout New Zealand! Just arrived in Auckland and need a car? If you’ve just touched down in Auckland and haven’t yet booked a rental car, there’s no need to worry! Just give us a call on 0800 93 95 03, or head straight to Hitch HQ at 18 Manu Tapu Dr, Auckland Airport! 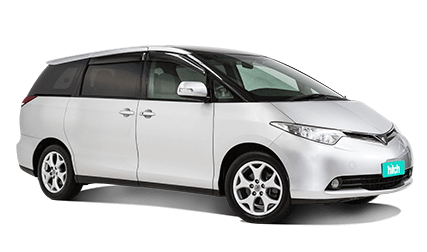 We’ll be able to sort you out with a rental vehicle for as cheap as $17 a day (depending on availability), and you’ll be able to head off and explore Auckland by car as soon as possible! Auckland is the kind of city where you can enjoy plenty of unrivalled and unforgettable experiences, whether you’re back-packing on a shoestring or splashing out on a luxury getaway. If the purse strings are tight, it often works out much cheaper to hire a car than it does to use public transport, especially since some of the best free attractions are tricky to get to if you don’t have wheels. 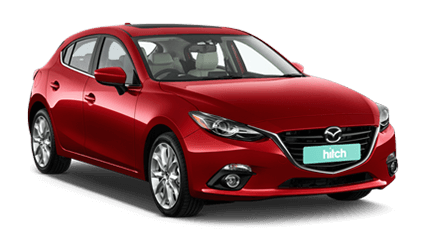 Hitch offer a choice of competitive budget rental cars, which you can pick up from Auckland airport to start your adventure the moment you arrive! When you’re travelling with kids the last thing you need is extra stress. Having a car to get around in, and one that’s spacious enough for luggage, strollers, toys, surfboards and all the other necessary paraphernalia, will take a lot of the hassle out of you trip. 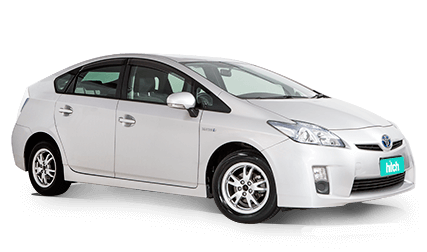 For convenience, you can collect your Hitch rental car from Auckland airport on arrival. 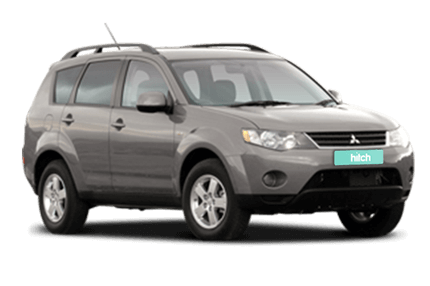 Choose from a range of SUV’s or large budget family rental cars to suit the size of your crew and your wallet. Once the car is sorted, your next challenge will be planning your itinerary from what can be an overwhelming choice of attractions. To help you decide, take a look at our suggestions below. Having a car to get around in can help you see some of NZ’s best attractions in and around Auckland. Once your car is all sorted, the next thing on your list will be where to take it. There are incredible choices aplenty, so to help you decide here’s a guide on the best family friendly ‘outdoorsy’ things to do around Auckland. Smaller children will be delighted with the hundreds of tropical butterflies, crocodiles, reptiles, fish, birds and insects on view at this wonderful theme park. Younger children can get up close and personal with rabbits, guinea pigs, sheep, alpaca and pigs and then let off steam in a brilliantly designed playground complete with the Red Admiral toy train that loops the park. Jurassic lovers will be thrilled with the life-size dinosaur animatronics in the prehistoric Dinosaur Kingdom. Perhaps it’s the holiday mindset, a more unguarded, laissez faire approach to spending, but it always seems to be the way that the generous stash of cash you put by for your trip diminishes with surprising speed. Fear not, New Zealand is a generous hearted place and Queenstown is no exception. 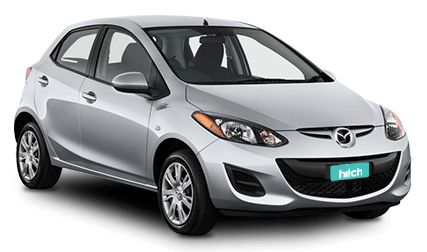 Hitch offers a range of budget car rental options and once you have a set of wheels, it’s easy to make a low cost list of things to do without feeling hard done by. Here are some of our recommendations. Nothing beats the simple (and free) pleasure of throwing a blanket down on the sand and soaking up some rays on a sunny day. There are some gorgeous lakeside beaches in Queenstown where you can swim, kayak, paddleboard, take a boat trip or just relax and feast your eyes on the cinematic beauty of the mountain framed cobalt waters. Arrowtown is an enchanting historic gold-mining village and only around 25 minutes by car from the city. Its unique combination of history, picturesque buildings, craft shops, eateries, museums and nearby nature walks in stunning scenery make it a delightful and low cost family day trip. Queenstown is an amazing city with such a wealth of fabulous things to see and do you could easily enjoy a couple of weeks here without running low on ideas. New Zealand’s adventure capital certainly deserves its reputation as one of the most scenic and exciting destinations in the country. It’s a thriving, vibrant city that really packs a punch in terms of nightlife and entertainment. Set along the shores of the vast, glassy Lake Wikatipu and embraced by The Remarkables mountains, some of the world’s most spectacular landscapes are virtually on your doorstep. To do this magnificent and diverse scenery justice, hire a rental car so you’re free to explore at your leisure. 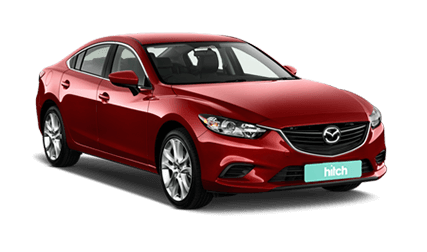 Hitch offers a Queenstown car rental service so you can collect your vehicle from Queenstown airport and then it’s only a ten-minute drive to the city centre. To get you started on your journey of discovery, here are three short haul road trips that promise to take your breath away. Christchurch is an astonishing city with a phoenix heart. The 2010 and 2011 earthquakes tragically left 185 people dead and destroyed many of the city’s heritage buildings, and yet the enduring community spirit that has been driving the re-construction of something beautiful from the ruins, is deeply moving and inspiring. The city is still packed with superb attractions and activities and surrounded by some of the most breathtaking scenery you’ll come across in New Zealand. Despite having faced enormous adversity, locals continue to be optimistic and very welcoming to visitors. The area around the city is replete with wineries, skiing, golf courses and dramatic alpine driving routes, so you’ll need a car to make the most of your adventure. If you’re flying in to Christchurch airport, you can collect a family sized Hitch rental car from there and head straight for the city. Although the Canterbury earthquakes destroyed many of the historic centre's stone-built buildings, there are still so many historical sights in Christchurch. Visit the Quake City museum to get a deeper understanding of Christchurch’s recent history of the Earthquakes to put things into perspective for your trip ahead. 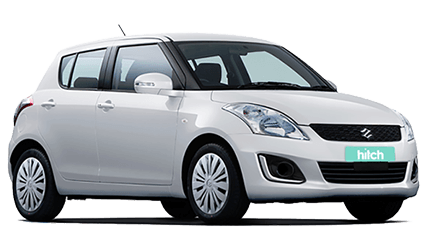 Having a hitch car rental in Christchurch means exploring is easy. Just over an hours drive from Christchurch, you will find the little town of Akaroa. Explore the village with its galleries, colonial architecture, quant stores then finish off with lunch on the water at one of Akaroa’s waterfront eateries. All prices are in New Zealand dollars and are inclusive of tax unless otherwise stated. Copyrights Hitch Car Rentals, 2018. All rights reserved.